Since his Sophomore year at SUNY-Albany in 1978, Marc Disick wanted to be a rabbi. His eclectic background took him from a Lubavitch Bar Mitzvah on Long Island, to a Kibbutz outside of Jerusalem and then to Reform Judaism's seminary, Hebrew Union College-Jewish Institute of Religion (HUC-JIR) where he was ordained in 1986. A pick-up pianist and accompanist, he played his way through graduate and rabbinical school. After ordination Rabbi Disick served as Assistant Rabbi to Rabbi Charles A. Kroloff of Temple Emanu-El of Westfield NJ. He has served congregations in Kansas City MO, Wilkes-Barre PA and Massapequa NY. For eight years Rabbi Disick was also a Regional Director for the Union for Reform Judaism (URJ) where he studied the synagogue as family system with Rabbi Edwin Friedman PhD z”l. Rabbi Disick received his BA in 1980 double majoring in Judaic Studies and Rhetoric & Communications. He lived in Israel for his Junior year, attending the UAHC’s College Academic Year on Kibbutz Ma’aleh HaChamisha. He also spent his first year of rabbinical studies at Hebrew Union College in Jerusalem. While at HUC, Disick served for two years as a Chaplain at Princeton University. He also completed coursework toward an MA in Jewish Education at NYU before rabbinical school. In 1992 He finished course requirements for a D.Min. (a clergy counseling degree) at New York's Postgraduate Center for Mental Health. 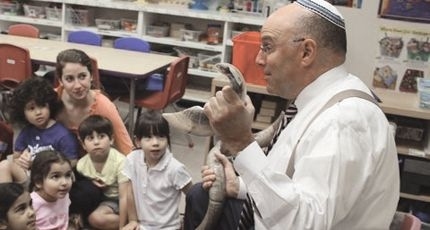 Through 2011, he served as spiritual leader of Temple Sinai of Stamford CT Sinai which became well known as a profoundly caring synagogue with a deep and active social conscience under Disick’s leadership. He received an Honorary Doctorate in 2012 from Hebrew Union College-Jewish Institute of Religion for 25 years of rabbinic service. He also served in the for-profit sector as Marketing Director at Atria Senior Living of Stamford, CT while maintaining a counseling practice in Greenwich CT. Until June of 2015 Rabbi Disick is the Interim Senior Rabbi at Congregation Emanu El, an 1850 family URJ synagogue in Houston, Texas. Subsequently he served as Interim Rabbi at Temple Emanu-El of West Essex NJ which with his help merged with Temple Sinai of Summit NJ. He currently serves as adjunct interim rabbi at Temple Sinai working to integrate both congregations.